Can Dogs See Different Colors? Can dogs see different colors? Yes they can, just not as many as humans do. Learn what colors they can tell and choose the right color toys for them. One of the most common misconceptions regarding dogs is that they cannot see in colors and that they have a very grey image interpretation of whatever they see or they are colorblind. 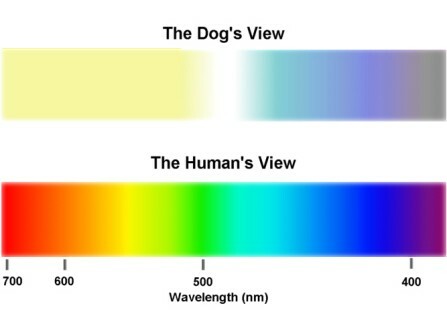 This is not true, many dogs do see in colors, but their spectrum is not as wide and detailed as a human spectrum is. Do Dogs See in Color? Many experiments were conducted on dog vision to determine whether they were color blind or not, and if were not then how many colors could they identify. The experiment: According to one study that was conducted in the late 80’s by the researchers of University of Carolina, dogs were shown three colors together. Two of the colors were the same, while one of them was different. The dogs were to press a panel respective to the color that he thought was different. They would then be given a dog treat if they were correct. The result: The principal investigator, Jay Neitz’s experiment proved that dogs are not color blind, and that they too have a vision of colorful spectrums, just as humans do. However, this spectrum is less diverse than human visual panel. For instance, if they were to see the colors of rainbow, they would not identify them as violet, indigo, blue, green, yellow, and red, but they would perhaps say brown, yellow, grey, light blue and dark blue. This is because their color panel is made mainly out of black, grey, yellow and blue. Another experiment was conducted in the mid 90’s, which proved that dogs have two different receptors in their eyes, which is why they can be referred to as dichromate. These receptors identify blue-violet and yellow-green images separately and because of this reason they are unable to distinguish between closer colors such as red, orange green or dark green and grey. Visit this link to look through a dog’s eye. Why Can't Dogs See Colors Exactly As Humans Do? Do dogs see in color? Yes they do just not as many as humans do. But why? To answer this, we have to compare the physiologies of human and dog eyes. Vision in light is processed by special cells that are referred to as cons. These receptors are capable of perceiving the light of different colors and wavelengths and process or integrate this information to translate into the respective vision. Humans have a greater number of cons compared to the dogs, but this is not sufficient. Apart from having a high number of cons, humans have three different kinds of cons that can capture a wide variety of wavelengths, while dogs have only two kinds of cons that do not capture as many wavelengths around them, which is why they have a dull vision. Some humans have only two kinds of cons, which gives them a field vision like a dog has. Colorblindness also arises from the lack of enough cons. What Color Should Dog Toys Be? 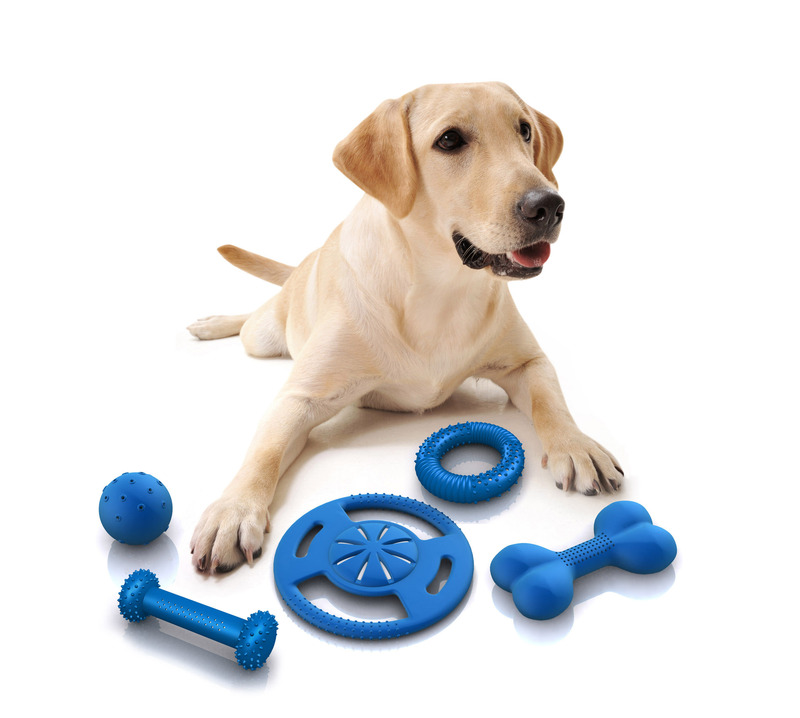 Isn't it pretty hard for you at times to pick the right toy for your dog? A lot of dog owners, especially consider the element of different colors in the choice of toys while selecting the right one. 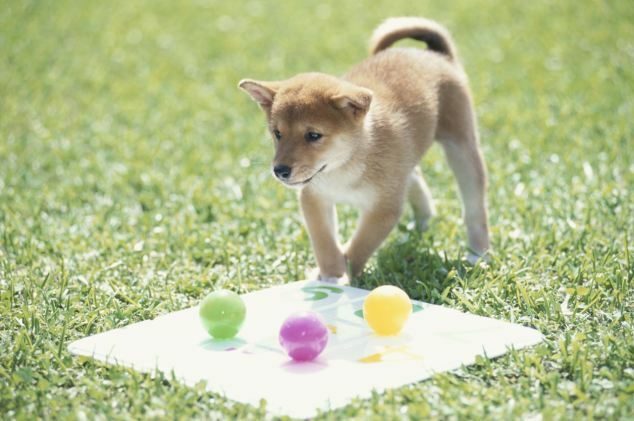 Since dogs have a limited color field, it is not surprising if they like playing with certain toys more. If your dog prefers playing with a particular toy, maybe he sees the color better compared to his remaining toys. Pick out toys of bright colors such as dark blues or purples to help them see the toys better. Traditionally many dog toys come in red color, which is ironically hard for them to identify, especially if the room they are playing in has similar colors like brown or orange. For a dog, the color red might just translate to a black or dark grey image. Besides the red color, your dog is also less capable of differentiating between colors like green, orange, gray or greenish blue. Often times dog owners feel agitated or frustrated when they don't see any initiative or interest of dog in following a ball or playing with a certain toy to learn new tricks. It is a food for thought that your dog may not be acting out, maybe he is unable to locate and differentiate the toy from the surrounding. Keep a note of the colors your dog is more attracted to and buy his toys accordingly next time. Do Dogs See as Clearly as Humans Do? Do dogs see in color? Yes they do. But how clearly can they see? Research studies have shown that dogs see less clearly than humans do. They have a blurry vision compared to us and are more likely to miss finer details of an image. They are, however, able to see better at night than humans, which is why they can be accounted for their remarkable talent of hunting in dark and being sensitive to even the slightest motion around. Dog lethargy can mean that he's unwell. Pay close attention to the way your dog acts, looks, drinks and eats and take him to the vet if something doesn't seem fine. What Are the Most Aggressive Species? What Are the Largest Lizard In the World? What Symptoms Will a Dog with Kidney Failure Experience? Why Is Your Dog Shaking Head Constantly?